Managing your own investments is quite a challenge and not advised for the weak at heart, but with a little careful consideration and investigation on your part, investing can be extremely rewarding. The trick is to understand the connection between risk and investing and devise a plan to fit your investments into a risk category that you can live with. 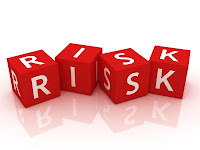 Risk is one of those subjective concepts that might mean something different to everyone, but there are some basic guidelines that can help you come to your own conclusion. You can think of risk as either the possibility or the probability that the asset you have in mind will either not perform well or that it will lose a portion of its value. Again, it is subjective because it is subject to your predetermined assessment of how the asset should perform and how it should hold its value. Taking an example from current life situations can help us determine what is low risk and what is high risk. Riding in a car is pretty safe, but the chances of having an accident during our lifetime are about 25% and the probability of dying from the car accident is less than 1%. Compare that to the possibility of being in a plane that comes down, which is pretty low (about one hundredth of one percent) but runs a 67% risk of dying in the experience. While the chance of an investment that is considered low risk (riding in an airplane) losing its value is less likely than a higher risk option (riding in a car), the lower risk option can actually be the more devastating of the two. The investor must take into account not only the chance of loss but the possible magnitude of that loss. By doing your homework and building a portfolio that is diverse, you can at least limit any negative swings in the market that may adversely affect your holdings. You absolutely need to know what you are getting into before investing and cannot do this blindly. Those who really get into trouble are the ones who have no idea what they are doing at all and just make an investment for the sake of it. Risk in the present scenario of economic world can't be avoided. Therefore its advance assessment bears good fruits.. I really found this article interesting and helpful as it throws light on some safety measures before investing on something. i am pretty sure this will be an eyeopener for all the new investors. This article could just help them in many ways. Risk assessment is important in investment. Many investors lost their money by investing without considering risk factor. Risk management will teach us system of investment. This is really a very nice article for the new investors, they must study and assess the risk before making any kind of investment ahead. They must maintain a portfolio to mitigate the risk and also to minimize this upto extent. In short the investment must be diverse to minimize the risk. taking risk in the investment and find the suitable ways to get profit . but there is always said in investment the risk gain you profit . There is always some degree present in every investment you purchase. At the same time, by avoiding or minimizing specific types of risk, you can keep temporary hiccups in the economy or financial markets from destroying your wealth. Articles like this are really worth reading. One gets to gain so much knowledge in this endeavor of investing. Dear your artical is so nice i come here from Mylot.It is the potential for loss of value through competition, mismanagement, and financial insolvency. This is very helpful. I can really use this. If you own shares of a company that is holding on to more cash than is rational, perhaps you should think twice about the management team running your business. Most great companies, by definition, generate more and more cash, which they shower on the owners, with each passing year. Executives should have to justify any capital they retain, proving through an established track record that the money will be invested in projects that earn a competitive rate of return. Otherwise, they are empire building on your dime. This article really suited for me since I'm planning to invest my own business. Yes, it's true the risk is there. This helps me to realize that there are a lot of things to consider to achieve success in business. Its really hard to invest specially if your not used to it. But nevertheless,taking risk is the first step to success. Positive and negative thoughts are always present. Its really not easy to start investment. The negative and positive thoughts are always present. You are absolutely spot on. Though some investments appear low risk, ie. probability of occuring is low, their impact in case of an occurance is higher than the impact of some other investments that appear high risk, and hence actually much riskier. Hence, in addition to the probability of a risk occuring we should also weigh the negative impact of the risk.